In recent months I have heard of the “gentrification effect”, where a hip new restaurant (placed in the wrong part of town), or a social coffeehouse (in Melbourne’s backstreets) changes a sketchy area for the better. Heavy foot traffic makes viable an ecosystem of other restaurants (perhaps to handle the spillover effect), bars, coffee houses. It is reminiscent of the big-push theory of creating a top-notch research university – “hire at least two superstars to your university department, and watch as other bright postdocs trip over themselves to work with them”. I think the establishment of Gustu in Bolivia (one of the poorer countries in Latin America) – an international opening covered by the NYTimes, the FT, and Bloomberg’s Ryan Sutton – accomplishes three things. 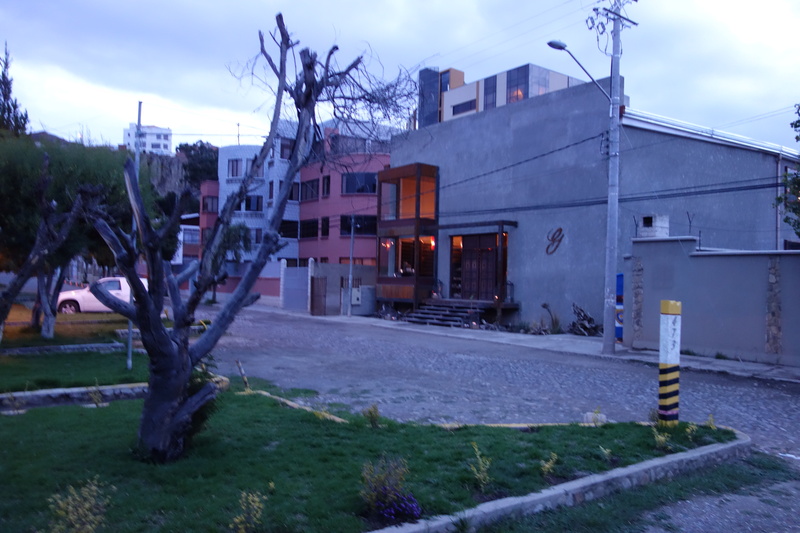 The first, geographic, is it may make a gastronomic hub of the well-to-do Calacoto suburb in La Paz. The second, economic, is that it establishes a type of opportunity, to work in the cutting edge of gastronomy, that was not there before. 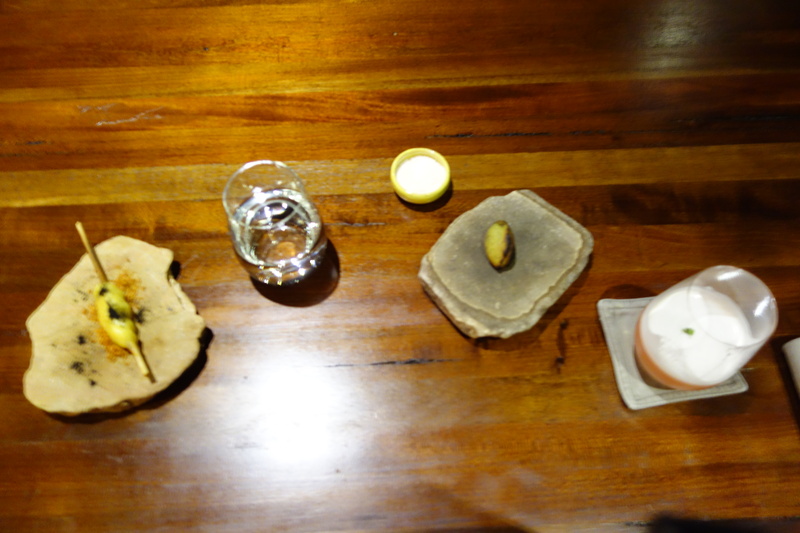 The third, gastronomic, is that it showcases Bolivian ingredients as not seen before. 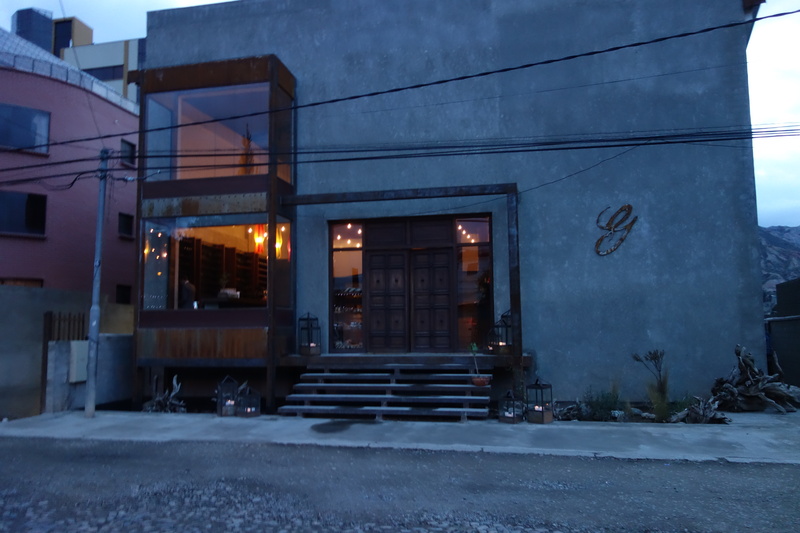 The social mission of Gustu is highly admirable – no other gastronomic project on the planet is taking as much risk as opening in Bolivia. 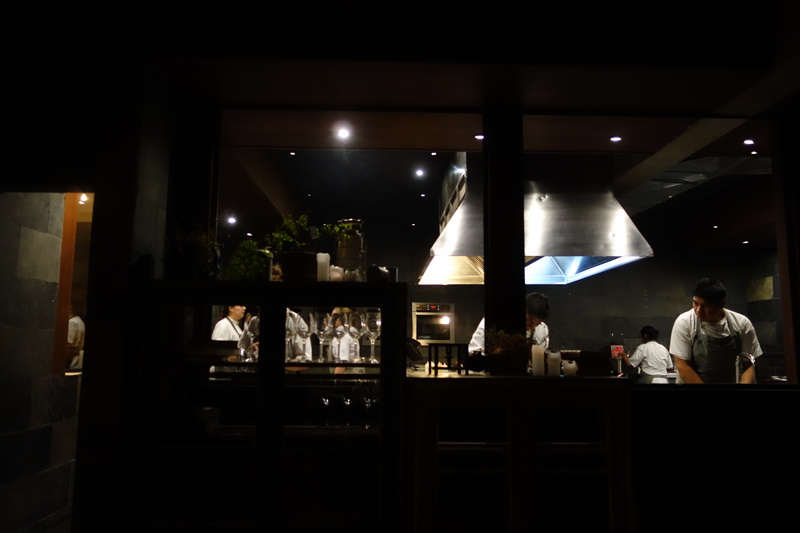 But since locals are not the primary target of Gustu, whether the restaurant thrives will depend on its ability to turn out great food in order to attract foodie tourists. 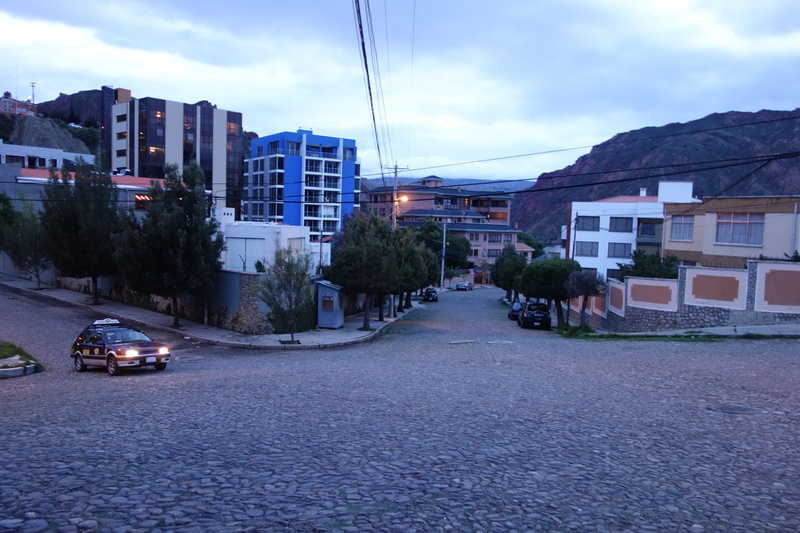 And that was what I spent one night in La Paz to find out. 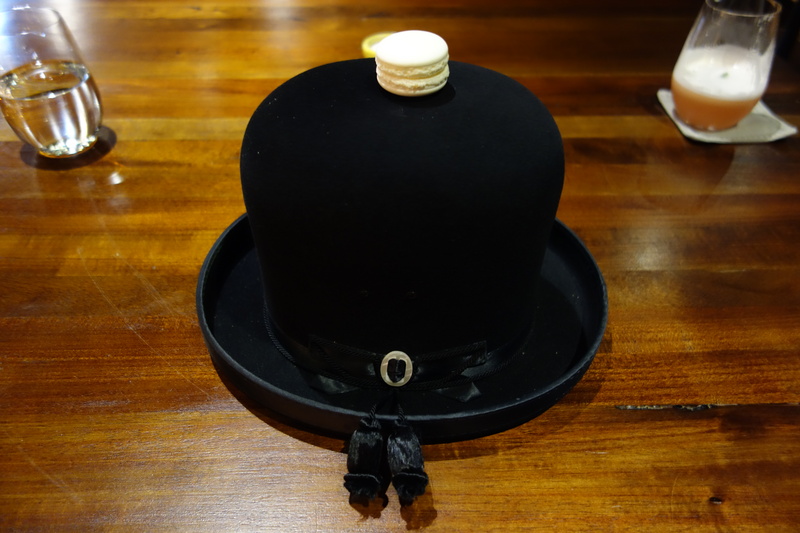 noma’s co-owner Claus Meyer has a non-profit foundation, the Melting Pot Foundation. Why have we picked Bolivia? Bolivia is one of the most culturally diverse countries in South America, being home to 36 indigenous groups. 60 percent of the population lives in poverty, and Bolivia’s indigenous population is among the poorest in the country. There is a highly unequal distribution of the economic resources and the farmland between the country’s 9,7 million inhabitants. The majority of the indigenous peoples belong to the poorest groups in the country and show a relatively weak political participation. Bolivia has the highest illiteracy rate and the lowest average school attendance in the region. Especially among women, indigenous peoples and the rural population, there are many who can’t read or write. Be inclusive and become a source and symbol of pride among Bolivians. Enhance the diversity of native and local products, cultural and productive practices and encourage sustainability by linking with the Bolivian cuisine. Combining search of great taste with the importance of human health and the environment. Revalue regional gastronomic knowledge of popular tradition and safeguard as a national cultural heritage. Bolivian Gastronomy must reflect the diversity of products by ecological levels, seasonality and modes of preparation, individual of our country. 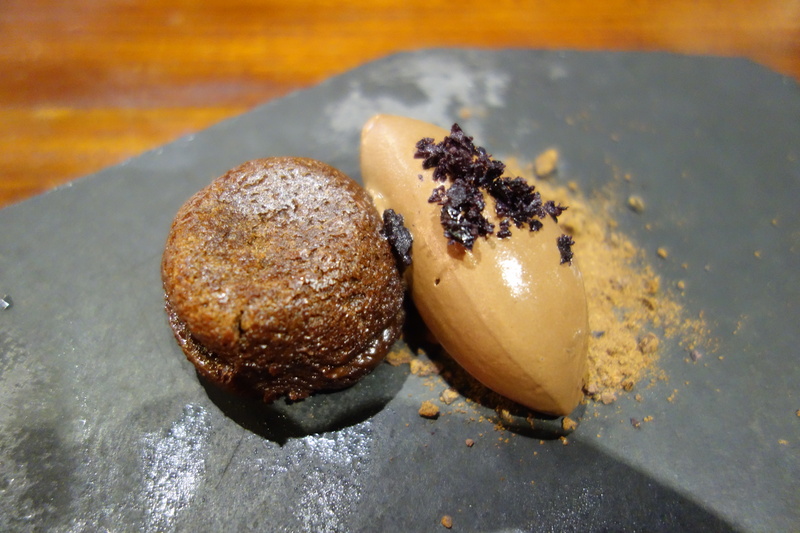 Suggest cuisines based on local and indigenous techniques and ingredients, which also take into account global trends. Build a culture of quality through culinary education level students, producers, chefs , retailers, authorities and consumers. To promote research , documentation and dissemination of gastronomy. Develop a fraternal, reliable and cooperative relationship between all players in the culinary chain. Recognize, strengthen and integrate regional movements Restaurants and productive . 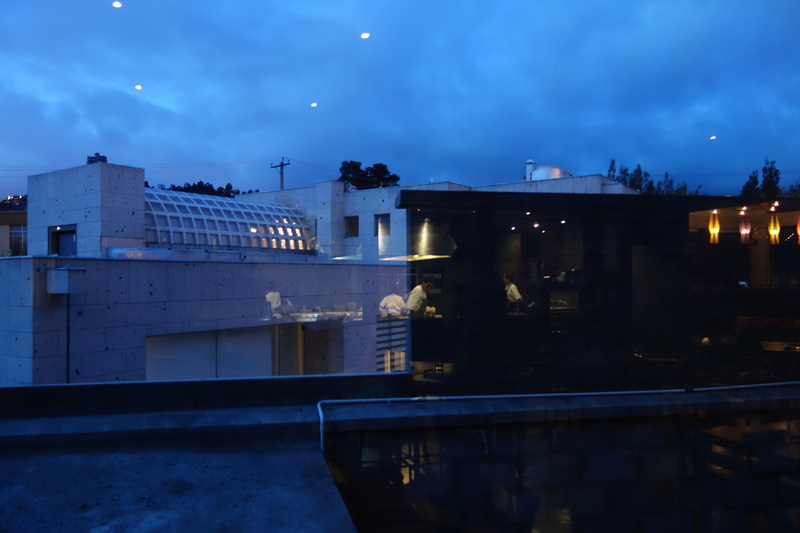 The main people I interacted with that night were chef Kamilla Seidler and GM Jonas Andersen (both formerly of the restaurant Geist in Copenhagen). My Airbnb apartment was less than 100m away from Gustu! 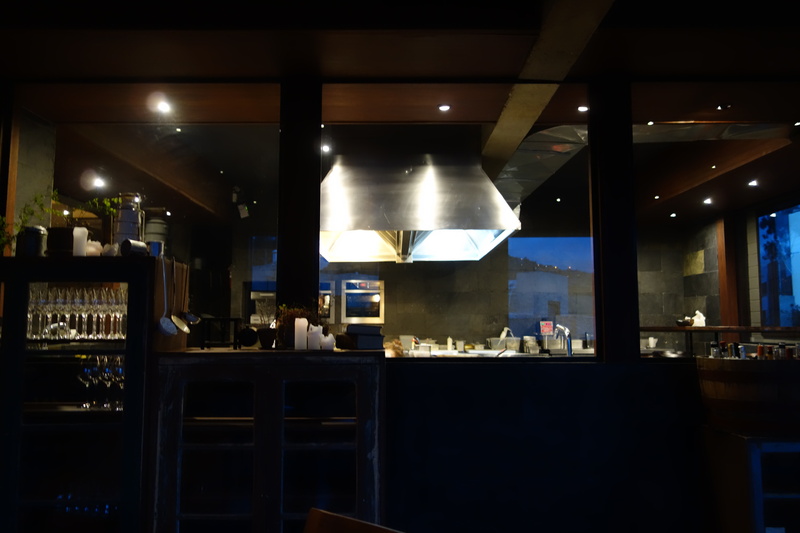 The restaurant, from afar. I arrive early by South American standards. A delicious grilled yucca snack, with crispy cheese and burnt garlic sprinkled on top. Salteñas are a baked Bolivian empanada. 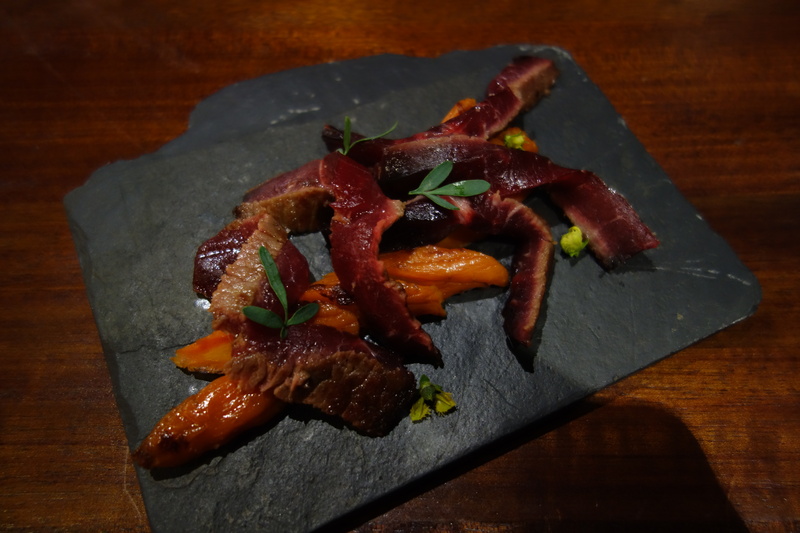 A traditional breakfast dish, this salteña was filled with oxcheek, potato, and carrot. Coca in the dough. A good combination. Strong taste of peanut, akin to the filling from Asian peanut butter crackers. 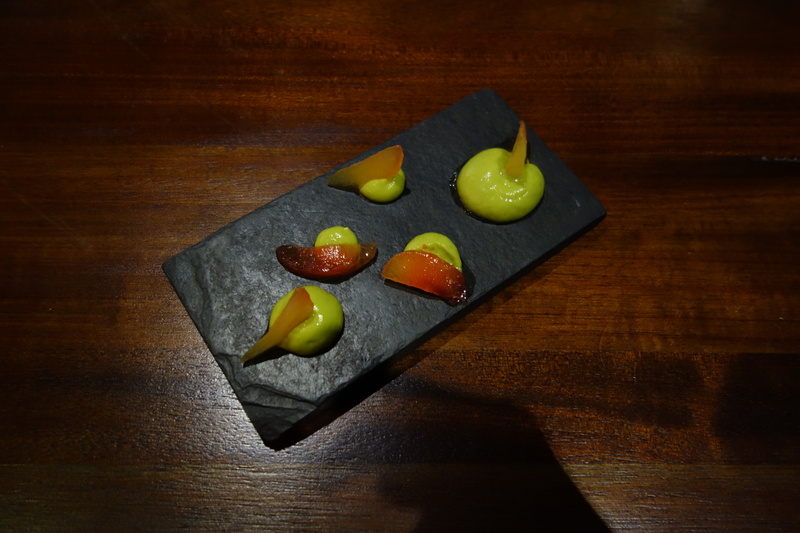 I did not much like this dish – the grilled avocado puree was quite bitter, though the plums from the La Paz valley were pleasant in themselves. 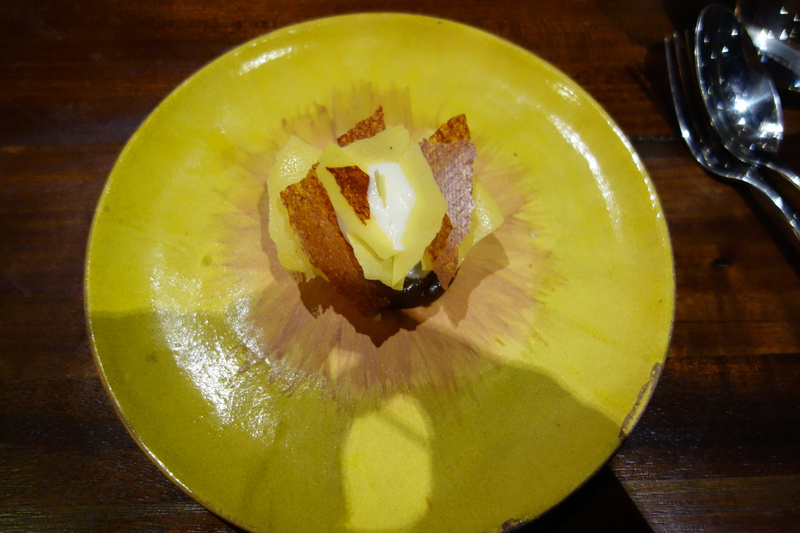 As a dish though the bitterness overwhelmed the momentary sweetness of thin plum slices. Beets broiled, dehydrated and rehydrated (hibiscus vinegar?). 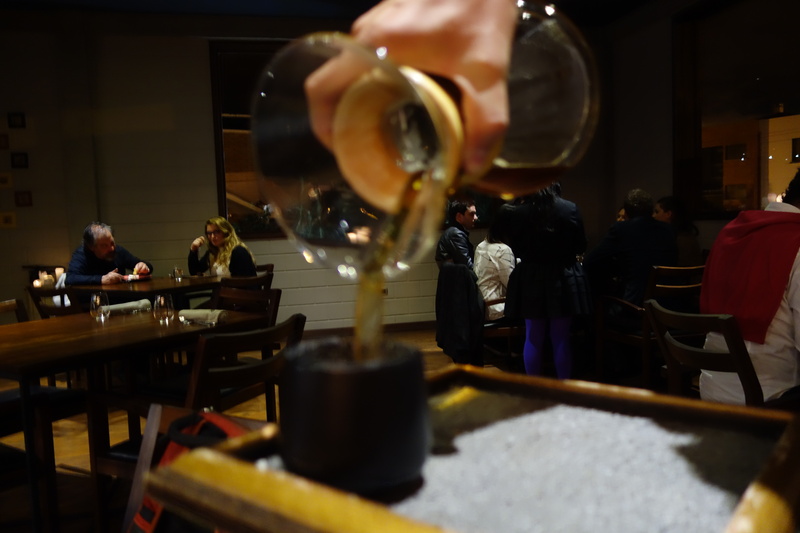 I had seen this trick before at birch (with lavender vinegar) and Aska the previous year. This produces a chewy beet candy with satisfying resistance to the tooth. Papalisa or Ulluco, an Andean staple crop second only to potato, are very small tubers, distinguished primarily by their texture, a firm little tuber ball. 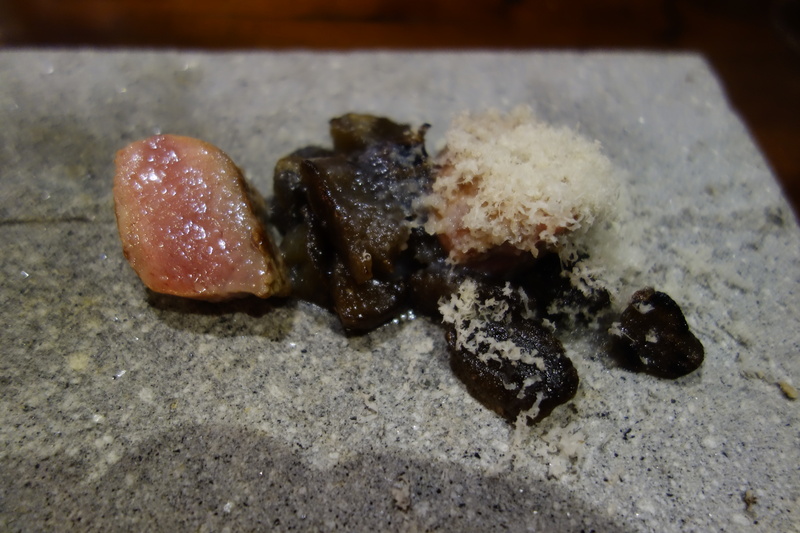 A dish of textural contrast. Hibiscus paper. Choclo, a robust large corn, is harder and starchier than the North American corn I’m used to. 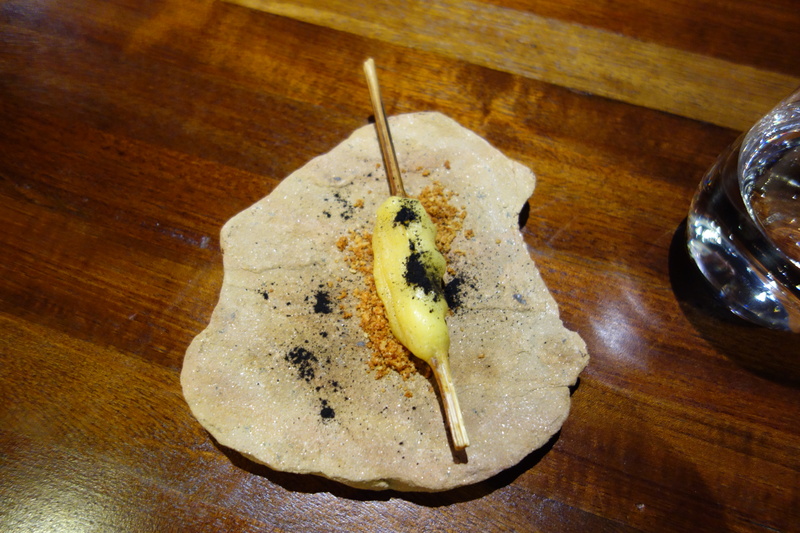 Here the choclo was charred and paired with poached rabbit and lime. 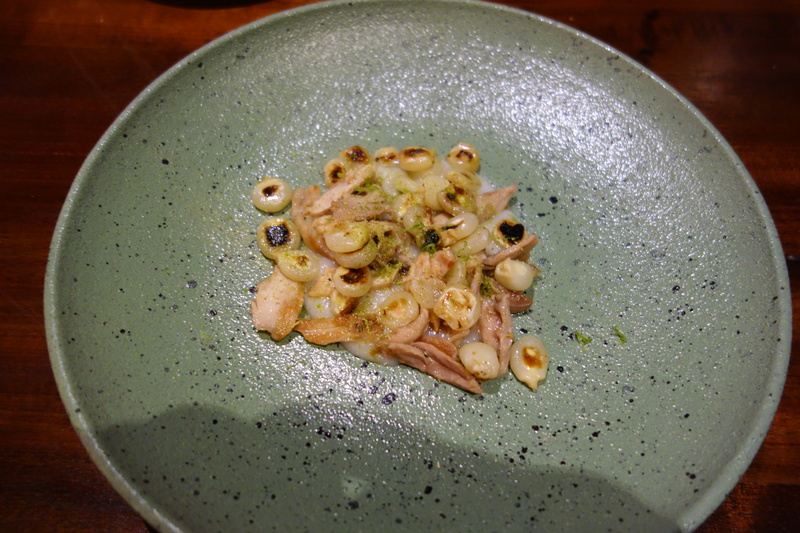 The poached rabbit with lime was a simpler preparation. 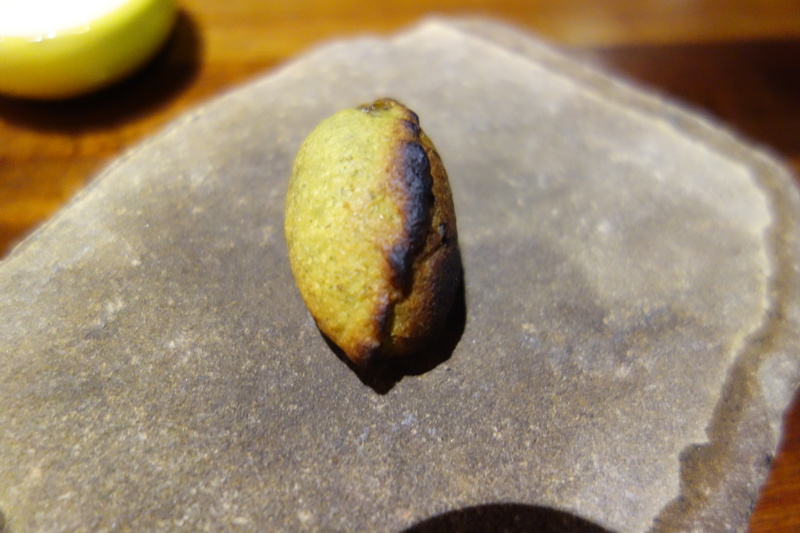 The choclo however remained hard, and for me detracted from the rabbit. The choclo demands attention, by virtue of its hard texture. 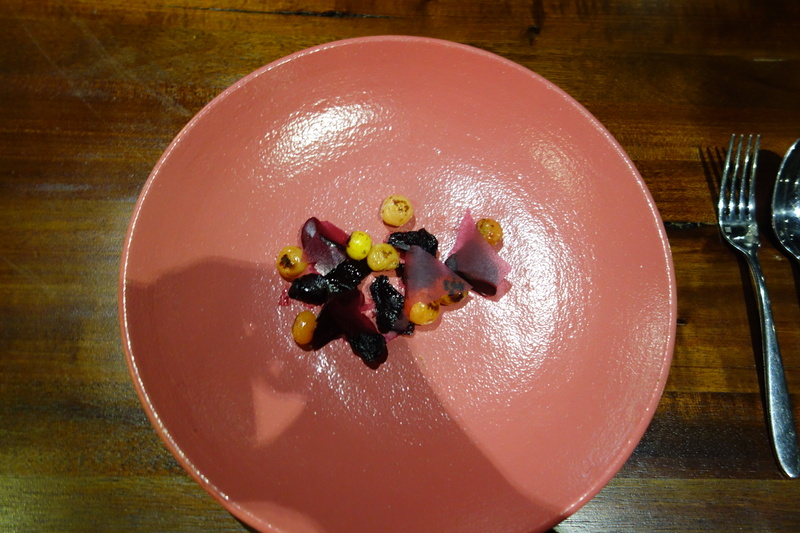 The rabbit and choclo remained separate dishes on the plate. My favorite dish of the night. 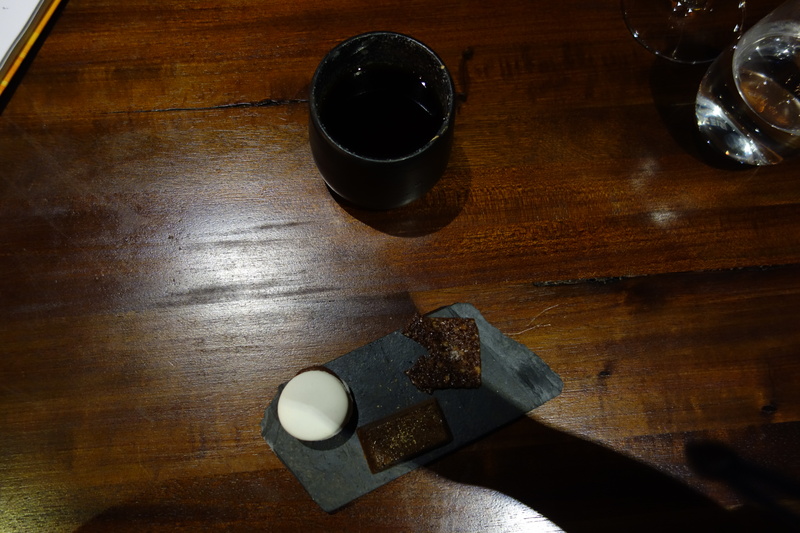 Charque, jerky made from alpaca, was charred into bits, like bacon, and set with a poached quail egg and strips of heart of palm. 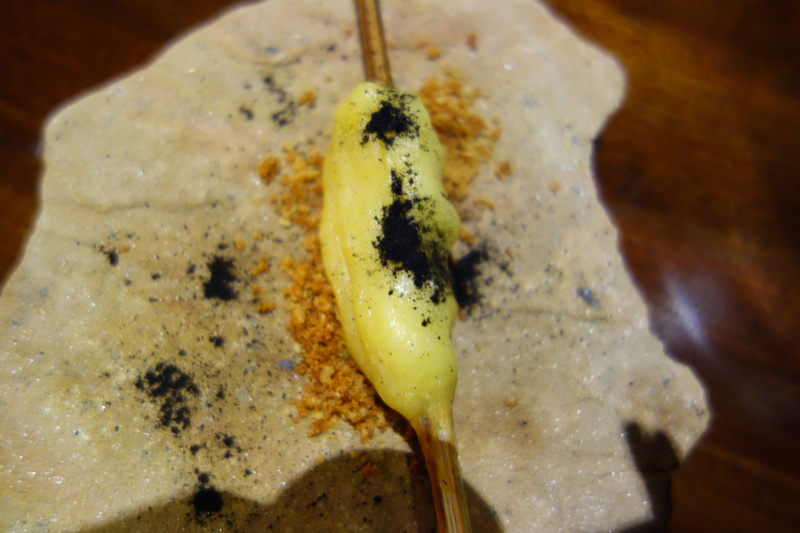 This was a great texture play – the soft, ethereal tissue that had the surface texture of a plastic strips had and the crisp bits of charque were bound wonderfully by a creamy yolk. 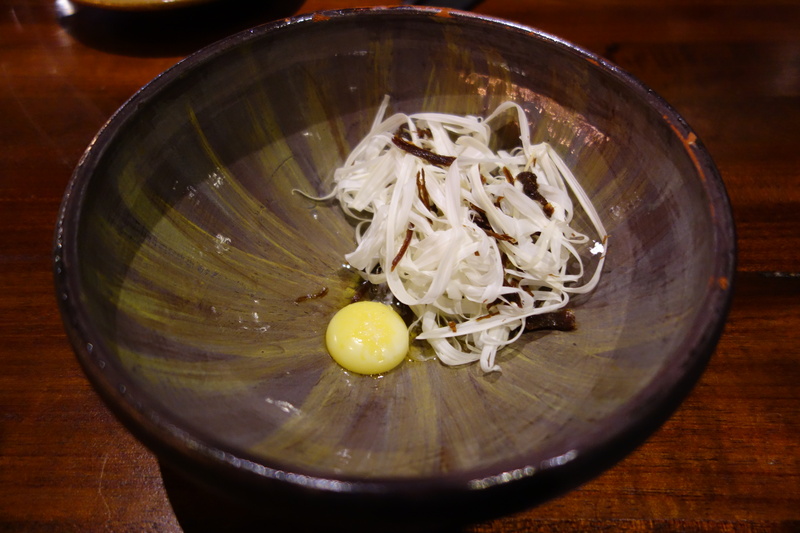 A dish I have seen in other reports of Gustu. 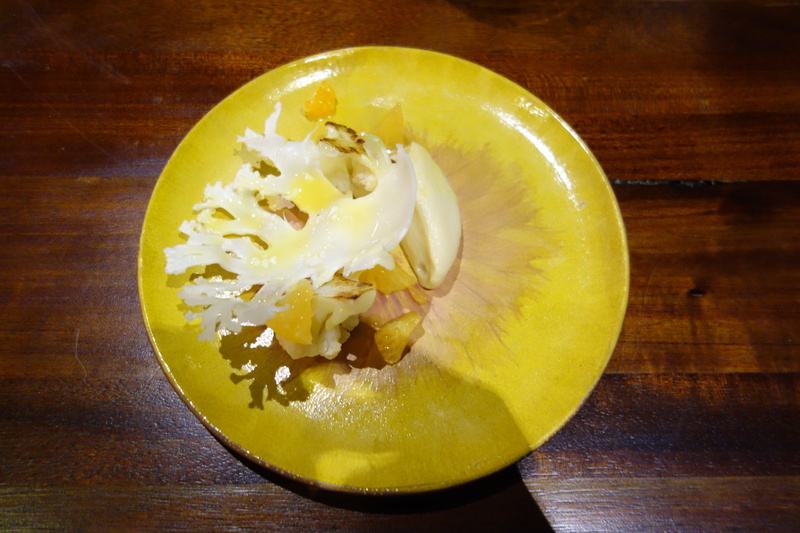 This was a triple play of cauliflower – puree, roasted, and a shaved slice of raw cauliflower, given contrast by slices of oranges. 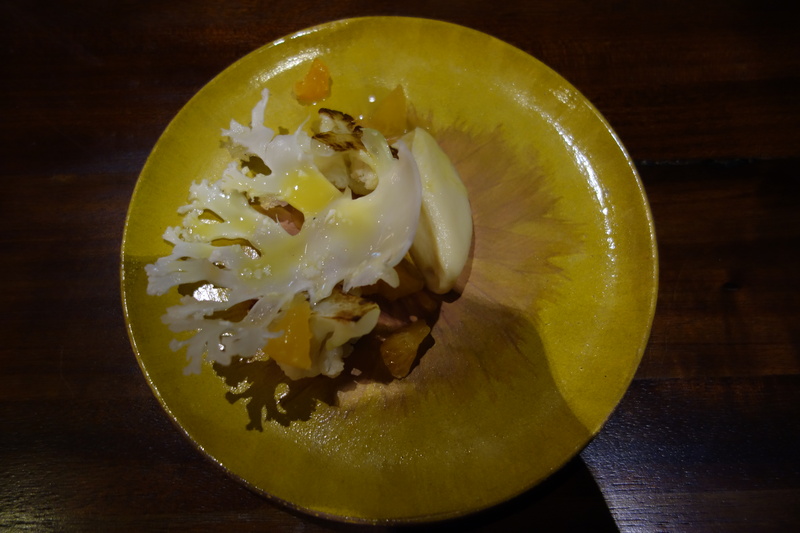 The meaty taste of cauliflower was in the puree and roast, but the shaved slice of cauliflower was not great fun to eat. Chuñ0 – is a freeze-dried potato product from the Andes. After harvest, potatoes are selected for the production of chuño, typically small ones for ease of processing. These small potatoes are spread closely on flat ground, and allowed to freeze with low night temperatures, for approximately three nights. Between the freezing nights, they are exposed to the sun, and they are trampled by foot. This eliminates what little water is still retained by the potatoes, and removes the skins, enabling subsequent freezing. After this, they are exposed to the cold for two additional nights. White chuño is obtained by “washing” the frozen potatoes. The “washing” may take various forms. In Bolivia, the potatoes are spread on blankets or straw and constantly sprayed with water to moisten them. In Peru, the frozen potatoes are transported to a river, and deposited in pools. 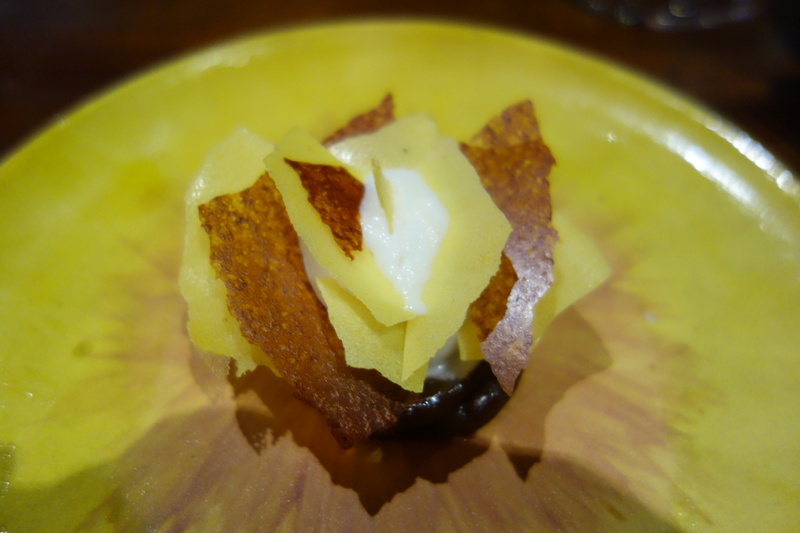 The chuño potatoes tasted remarkably like dried banana crisps, which I suppose owes a great deal to the Apple-Banana Syrup! 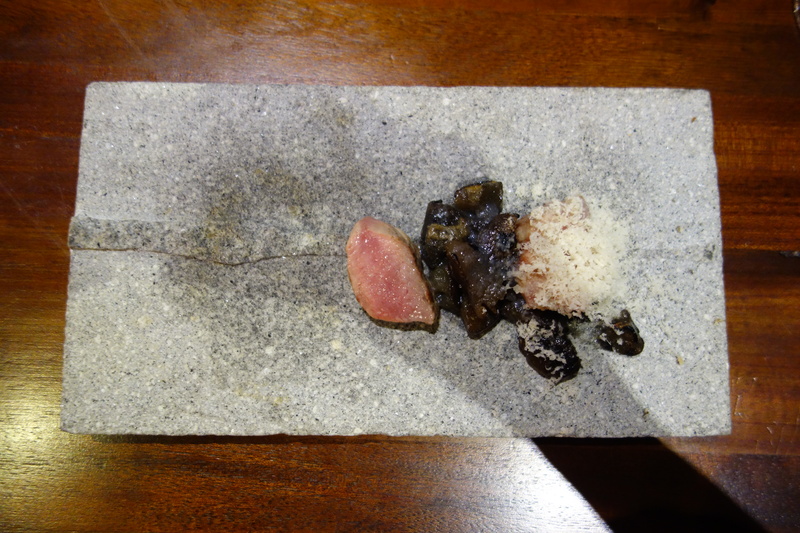 The llama had the texture of veal, and the taste was also similar to veal, with a more gamey taste. 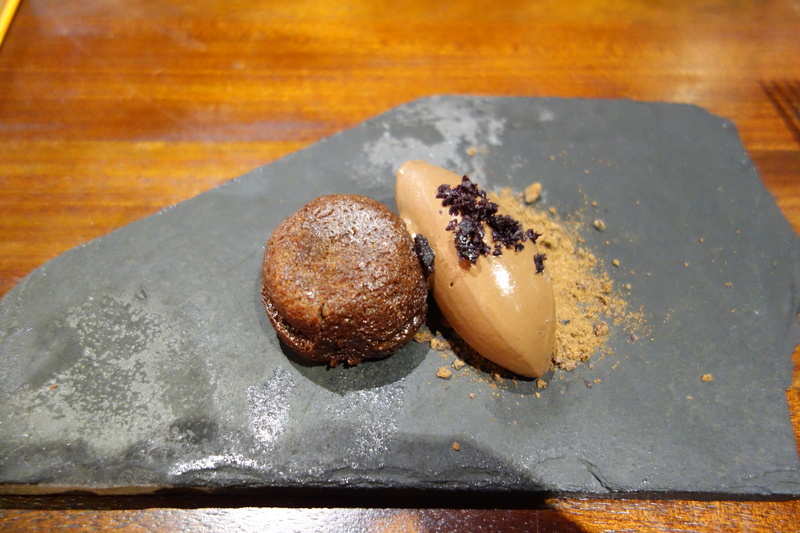 Perfectly executed dish. 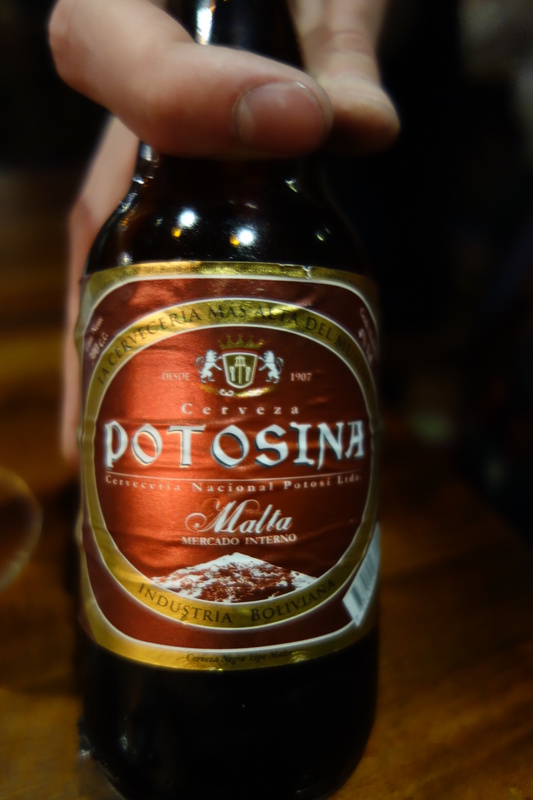 The Potosina Malta (5/5) may be one of the most unique pairings I have ever tasted. 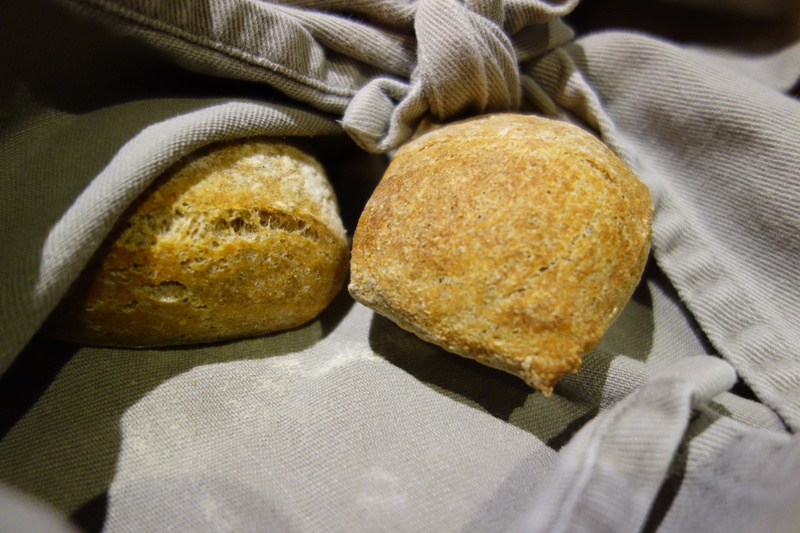 In GM Jonas’s words – “sweet, no acidity, no smoke, burnt bread”. 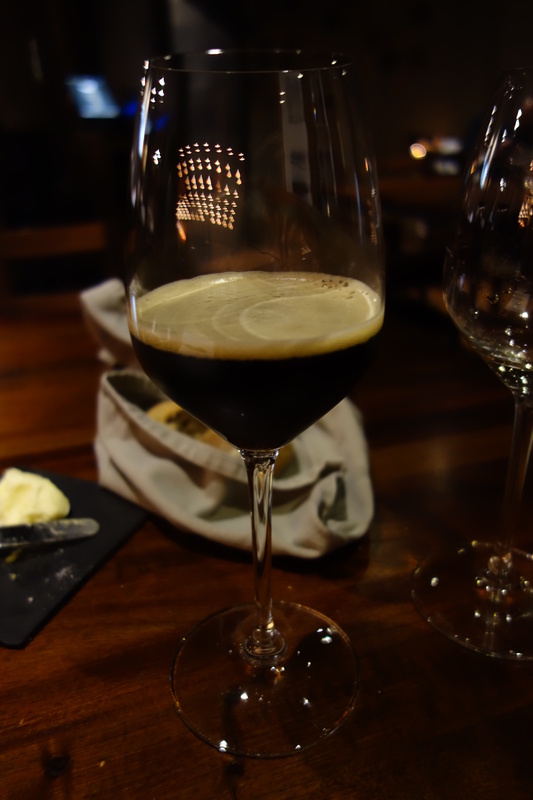 It is pure sweetness, and reminded me of Pedro Ximenez sherry, if PX sherry was a stout. Bolivia doesn’t have a culture of aging and culturing things – and therefore Gustu is pioneering the practice. 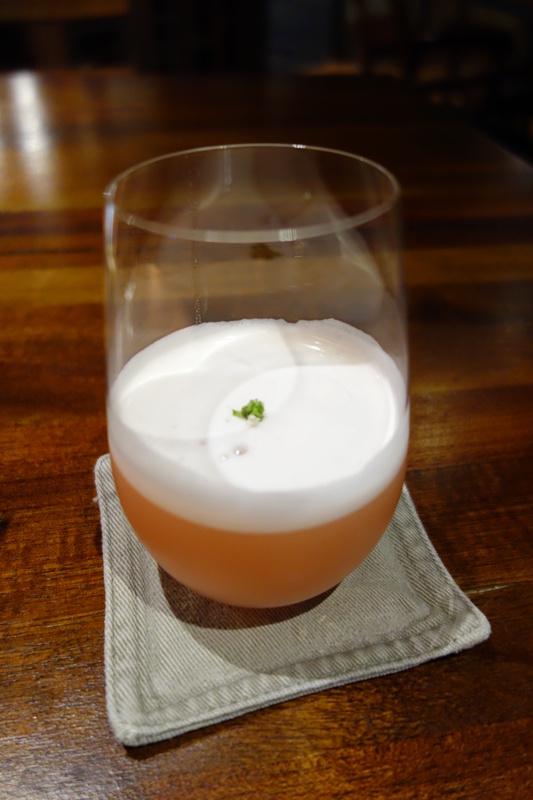 The carrots had been fermenting since the 7th of July (I was there on the 3rd of January, so that makes very nearly 6 months), and it was paired with the ruda (or common rue) – which tasted of anise+cinnamon. 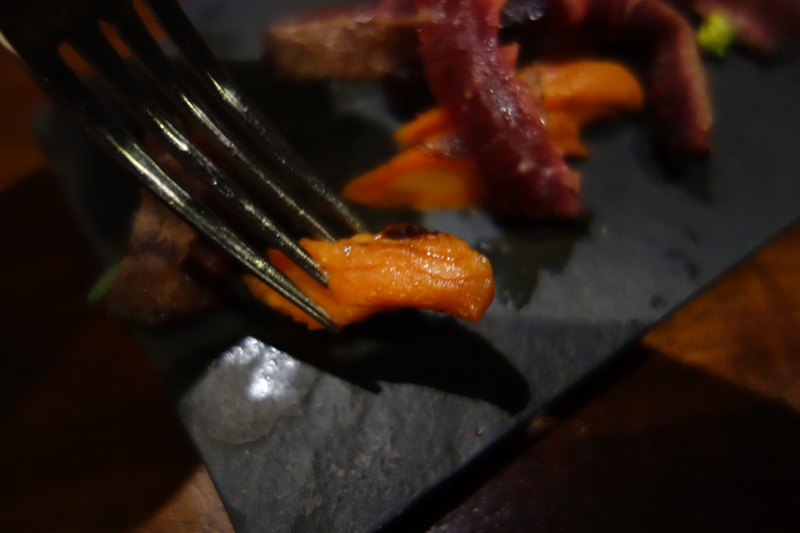 The carrots had the bite similar to the beets earlier served, and had great depth of flavor. 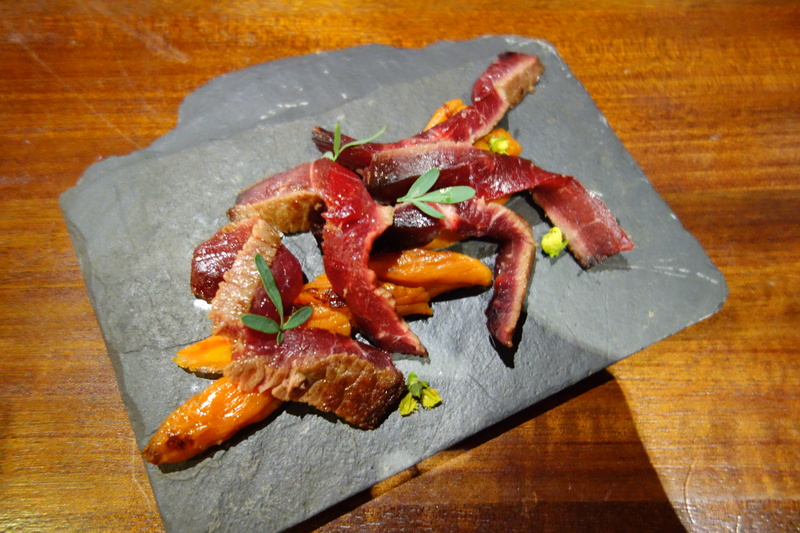 The 4.5 month aged beef, dry-ish, had the taste of blue cheese, well-offset by the carrots. The last of the mains. Chancaca, or piloncillo, is “unrefined whole cane sugar, typical of Central and Latin America, which is basically a solid piece of sucrose obtained from the boiling and evaporation of sugarcane juice.” – Wikipedia. 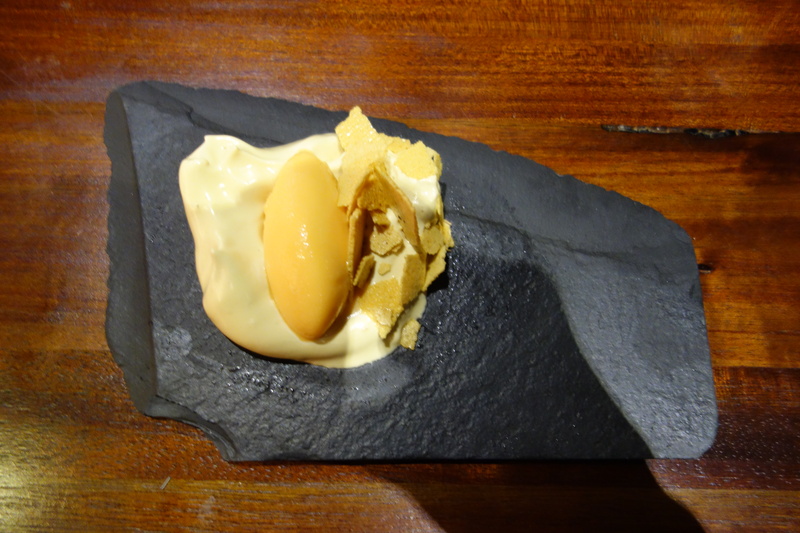 Here, it was made into the beige meringue base, topped with the tumbo (banana-passionfruit sorbet). Good. 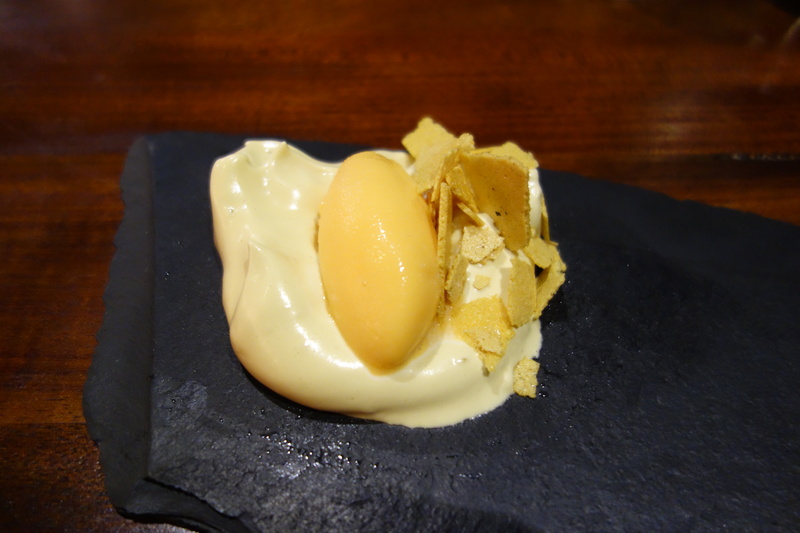 Chirimoya ice-cream with aji (dill family) fudge and tomatillo paper. A spicy puree was at the base of the dish. 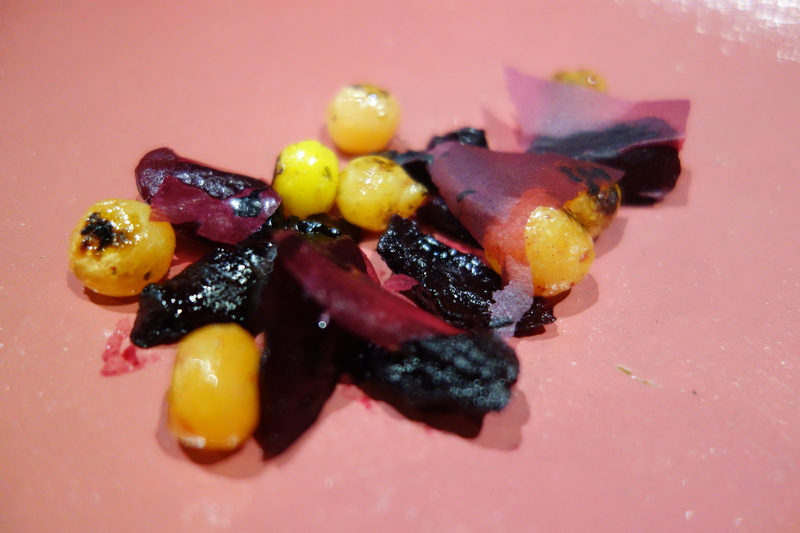 The sourness of the dish reminded me of haw candy, which I used to devour as a kid in Singapore. I didn’t quite like the dominant spicy, haw-sourness of the aji fudge – but I can see this as a matter of personal taste. Wow. 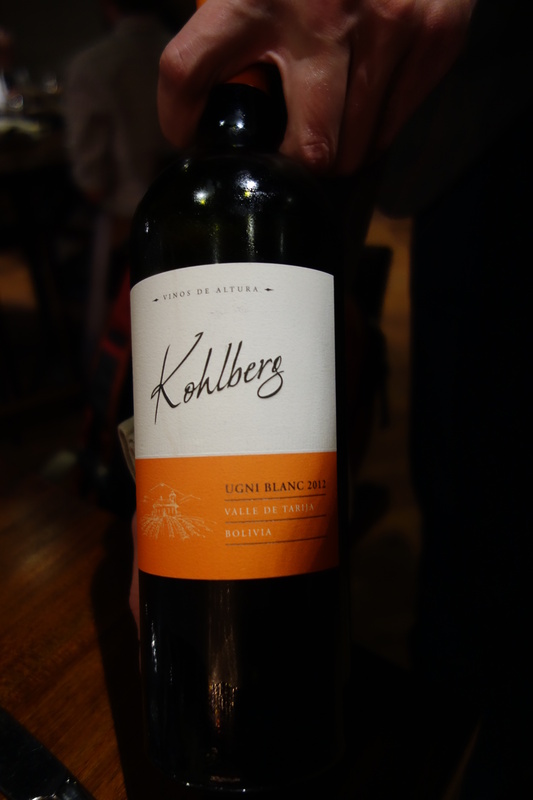 This wine is made from Misionea(sic?) 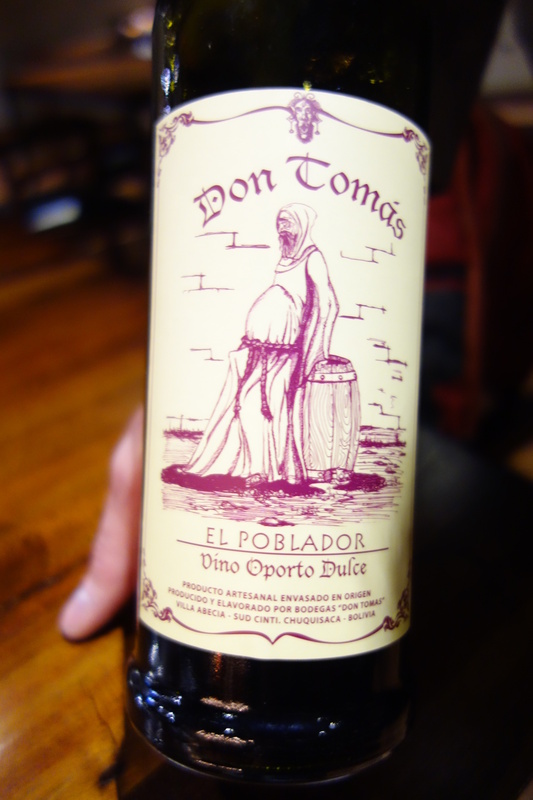 grape, a grape brought to the New World by Spanish missionaries in the 15th(?) century. 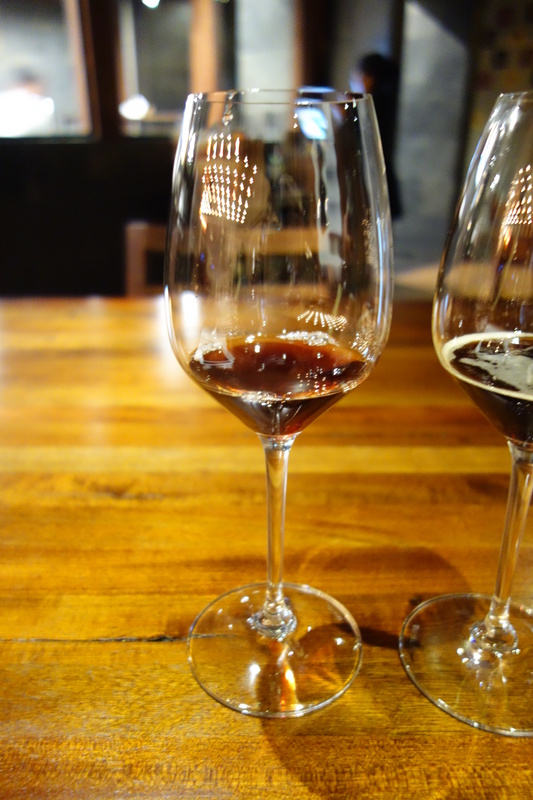 It tastes exactly, and I do mean exactly, 100%, on-the-mark, like black forest chocolate cake. Intensely cherry. Brilliant. 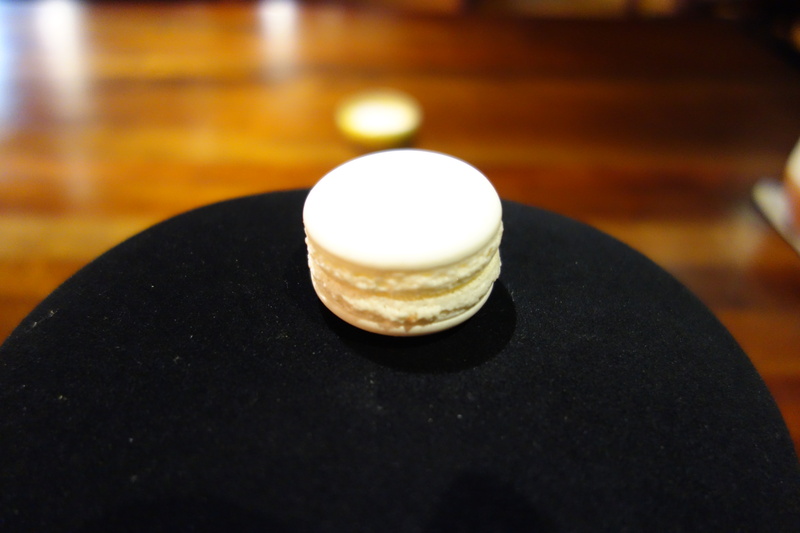 A elegant end to a memorable meal. In anticipation of the 4am taxiride! 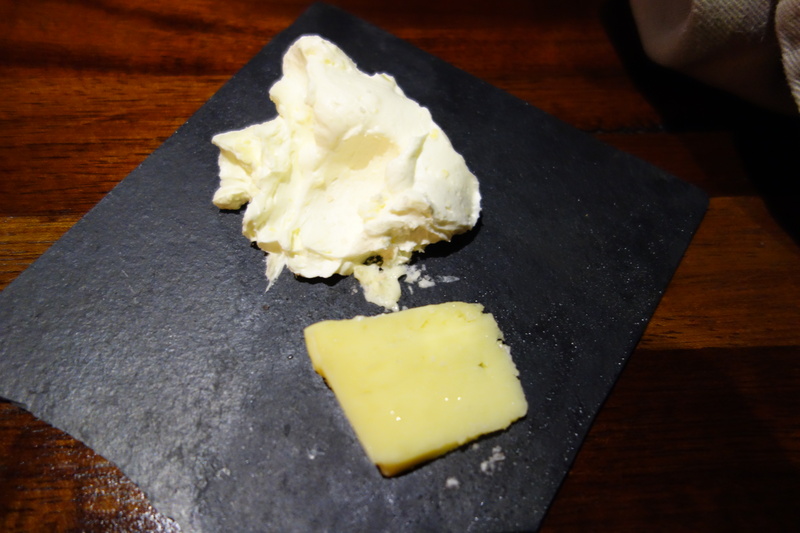 As a result of confining much of their food to geographical limits, locavore restaurants like Boragò and Gustu become destinations worth visiting in themselves, cultural heralds. 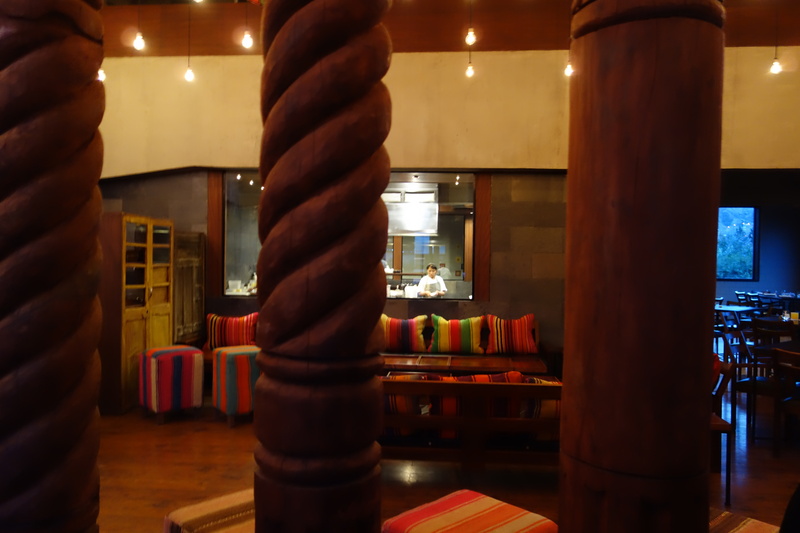 They are certainly serving up some of the most interesting food in the Americas. 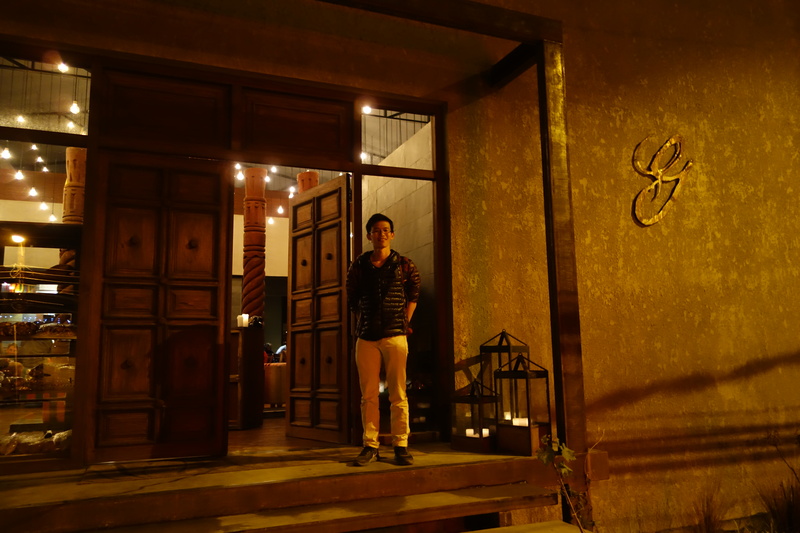 My visit to Gustu was highly memorable, characterised by interesting ingredients, well-executed cooking and great service. I wish the team all the best in accomplishing their noble social mission. 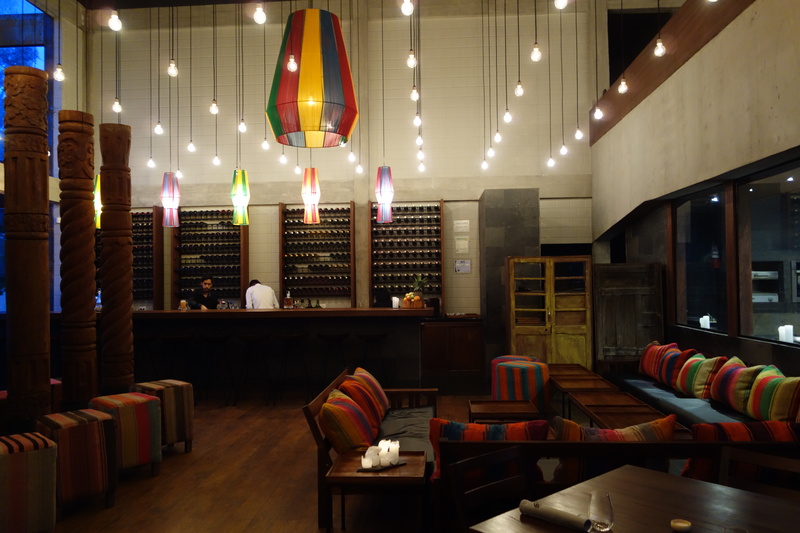 There’s a buzz about La Paz, and it’s from Gustu.